Jory Heckman has been a reporter at Federal News Network since January 2018. 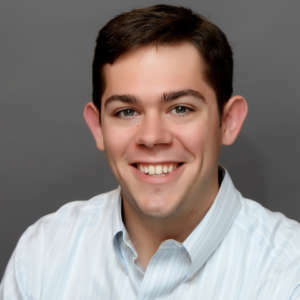 Jory got his start as an intern in 2011 and was a digital news writer and editor for Federal News Network from 2014 to 2018. He also worked as a desk assistant with CBS News Radio in New York and was a reporter for the Citizens’ Voice newspaper in Wilkes-Barre, Pennsylvania. Having data behind which programs work and which don’t can make some tough budget decisions at TSA go a little more smoothly. The St. Elizabeths campus now houses senior DHS management officials, but the ongoing project still serves as a reminder that the agency faces an uphill battle when it comes to functioning like a unified agency – an issue it’s faced since its creation more than 15 years ago. Carol Perez, director general of the Foreign Service and director of human resources at the State Department, said more than 50 percent of the agency’s Foreign Service and Civil Service have less than 10 years of experience with the agency. IARPA Director Stacey Dixon said the agency has laid the groundwork for two programs focused on ways to overcome adversarial machine learning. About a quarter of all federal leases held by the General Services Administration will expire within the next two years, giving the agency a big opportunity to renegotiate for long-term leases on buildings where agencies plan on staying put — and at a lower rate. Reps. Mark Takano (D-Calif.) and Sean Casten (D-Ill.) argue a revived Office of Technology Assessment wouldn’t overlap with the roles occupied by Government Accountability Office and the Congressional Research Service, but would instead prevent lawmakers from pursuing “dead end” technologies. Jovita Carranza served as SBA’s deputy administrator for more than three years under the George W. Bush administration. The Department of Veterans Affairs is expanding its telehealth reach coverage to fill critical gaps in areas including mental health and primary care.